Before we begin a word of caution. 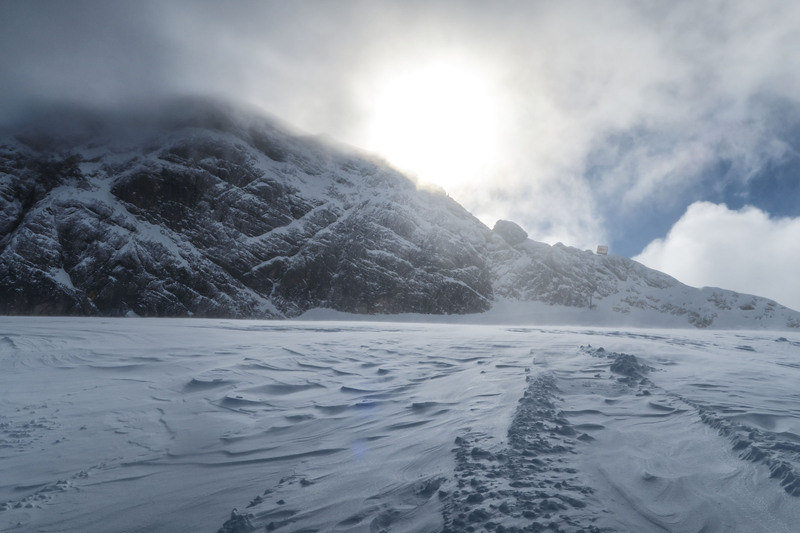 In this article I am going to go into updates on information regarding operating a avalanche beacon, testing in practical conditions and avalanche safety. If you are new to this I would advise to start of by reading my article from last year or even batter take part in a proper avalanche workshop. The old articles contains a lot of info on the basic do`s and dont`s on safety in avalanche prone terrain. If you are like me and not only look for people to ride with to lower the gas bill then you probably do care for their safety too. After all even if you are the biggest narcissistic ego on the planet mother nature and its whip, the avalanche, does not give out “Man of the year rewards” for that After all if your friends and you are properly trained the likelyhood of a bad ending in a bad snow situation can be mitigated or in the least, the possibility of a cold snowy grave can be averted. The whole A.R.T. setup with the probing cushions for training. This kind of safety paradox has been bothering me for a while. How to make it easy too just do what I did on a snowy afternoon last sunday, grab two of your friends and head to your local hill for an educational impromptu search and rescue training session. I will add the funny Instagram story about all of that at the end of the article just for laughs and you will see that even thou I concocted a scenario where two people got buried in the woods, used water and stone to mess with beacon signals and used my knowledge of the deficiencies of on old discontinued Freeride to it`s doom it took a lot of time and we only did one search each. Here PIEPS presented us with a interesting solution. Last year PIEPS introduced the PIEPS Micro. Their latest addition to the beacon lineup with a robust feature set, firmware updates via Bluetooth ect. Now with the latest Firmware it also got a fancy new training mode called A.R.T. (Avalanche rescue training) and a Phone APP to control it all. You will be thinking that it is just another gimmicky app to clog your phone. Well this one actually is useful. Think of it as your personal avalanche drill instructor. Up till now a whole setup for avalanche safety instructions cost a couple of 1000 EUR. Now all you need is two or three PIEPS Micros a Phone and two cushions and you can make your own little avalanche learning center to play all kinds of scenarios out with your friends. The APP itself offers 72 scenarios with instructions. Defiantly more then I can think off. Rok putting the pillow into action. The use is simple. You put your Beacons into the little handy pockets of the cushions with Bluetooth turned on. Then you connect to them with your phone app. You can then choose scenarios or how they turn on and off to wreak havoc and see how well your friends coordinate in situations of bad signal, multiple signals, loss of signal etc. as we tried the whole thing it was also interesting to see how well the mark functions worked and how to do fine searches. Especially in this area there were quite a few new recommendations. It is all really easy to setup and it does not take that much time. Just the thing to do on downdays. Become better at the basics. The app itself has a ton of remote functions like group check, or setting up your auto revert interval. The Iprobe. Nice but for my taste a bit to bulky. The system, as good as it is tho,u has a few drawbacks and most of them are on the hardware side. First of all you will need 2-3 PIEPS Mirco avalanche beacons to do it. Since we all have beacons and mostly from a variety of manufacturers having these all together is more dream then reality. It is thou a good thing for guides who offer training and guiding services and have a small fleet of these devices. The weather was epic. Looked like reel winter. So as we love our friends in the ideal world now we have a solution for all of us to play out and get better at saving in a bad scenario. So there is a kind of love with avalanches. But that love only extends to as far as our lazy buts are willing to move and train. So if you do love your friends you are going to be like me, the annoying bro who bugs everyone about beacons, shoveling and fine search ! Be that :). The loving smart idiot:). We used little flags in the wind to mark the range where we got signals. A few were even blown away from the wind. Like the year before we also tested different beacons for range. If you read last years article you will get the basic jist of this. What Rok tried to show us more this year was just how much difference there is from search to search even with the same beacon and the same target. This time there was more snow and we were directly on the glacier ice with lots of water ice beneath us. We tried a lot of different beacons: Orthovox S1+, Pieps Micro and DSP, the new Arva from ISPO and every single one lead us on a different route to the target. What did annoy was that certain beacons had more of a affinity to be susceptible to the magnetic fields movements then others. I was specially annoyed by the Orthovox S1+ tendency to need multiple seconds to lock on when you came closer to the target and the new ARVAs weird range indicator. last thing I want in a without in an avalanche field is the indicator jumping from 40 do 20 and then back to 30. Thou on the fun side it was very user friendly. There and back again. Then repeat. Same beacon different results in the real world. Just to name a few findings best range we got was from the new Arva, then the PIEPS DSP Pro Micro and around the same for the Orthovox S1+. Signal consistency was best on the PIEPSes and and the new ARVA was a bit odd here. All of the beacons have multiple antennas and the water ice definitely lead us a bit around in circles at times. The mark function seemed to work well on all of them thou this year we did not include any old analouge beacons that have a bit of a different wave form on their signal. The new V2 update expands a lot of functionality for the micro. Well the Micro as it is hardware wise is nothing new. What is new is a lot of improvements on functionality. Like all newer PIEPS devices it can sense signal interference from Phones for example and turn of the corresponding antenna. The usability of the beacon is really easy. Ergonomically it is a nice device that can easily be handled with gloves. The screen is well visible and basically looks like any PIEPS screen. No fancy graphics just the stuff you need. The update adds the before mentioned functionality for A.R.T. training exercises. The battery life was substantially improved by the addition of being able to use lithium batteries as well. So the max wake time is now around 400 hours. It is a really nice addition. Somehow it comes close to what I get out of my old Orthovox F1. A lot better then the whole battery charging things of late. In the range test it also worked a lot better then before. The firmware also updates the signal processing algorithm. It might not have had the range of the DSP Pro or the new ARVA but it did get the signal at around 40-45 m in practice. I reckon that as good. Also the signal fix was good and the circles we ran because of the magnetic field was not that bad. Once Bluetooth is active you can pair up your phone. All in all I really liked it. What I did not like that much was the price. Here I am a bit baffled by PIEPS-es pricing policy. As the top product for guides the most expensive beacon in their lineup is the DSP Pro. Then it should be followed by the DSP Sport and then the Micro. But price wise the MICRO is as expensive as the PRO. I see the target audience here in the part of the community that is somewhere between a guide and a casual freerider. For ski mountaineering pros the device might be a bit to new and feature packed to ensure the confidence a PRO does. Not saying that it does not work that well the form factor itself will not convince them to a buy. But that is a question of marketing. In the my impression of the pieps MICRO is that it is a great product, but if one wants to get the regular conmunitty to start using its A.R.T. features it will have to be priced more in the middle end of the spectrum. Spekaing from expirience and beeing asked a lot of times on what beacon to buy I always say buy something that is proven works and does not cost a leg and a foot. For that in recent years I did mostly recommend the DSP and DSP Sport. Sometimes even the PRO. I would say that if you want to get more of a foothold here your innovation has to go to the regular user. New wisdom from the pros. Quite a group showed up. From pros, guides to sales people…. Terrain obstacles have different effect on different beacons. To be comfortable maybe test your gear close to big rocks, water and ice as well as in different temperatures and snow depths. Gear is made do be less susceptible to these nowdays but the real world is a different place and human intuition and observation are key to improving your search time. Excavating a victim usually we are told to start excavating 1.5x times lower from where you put your probe. Also known as stepping back down the avalanche path to start digging in front of you. If the avalanche was not big and you have a big reason to believe the person is buried for about half a meter and not more start digging directly above him where you had luck with the probe. Never say no to a free lunch. On a side note we also checked out the Jetforce avalanche backpacks. They also got a update and now have a storage mode that does not tax the battery. Still the weight problem remains for me. They are cool and functional but still I have been trying to rid myself of added weight. We have been told that they are working on reducing the battery size. Like with a electric car energy storage is still a limiting factor. Still I love the easiness of use and how simple it is to pack. I am working on a article comparing a few of these systems so check back soon for that. Rok demonstrates the usage scenario. The trigger is a bit different then on the mechanical systems. We are well into winter here in Slovenia and a lot of things have gone down since then. Since I was pretty busy and also a bit preoccupied I did not follow thought with my regular pre big winter blog run up so be ready for some more epic stories and gear reviews coming up in the next weeks for the stuff that happened at the start of the season. Of course in between all the powder we seem to be getting these days 🙂 Best winter start in 10 years wuhu !! !